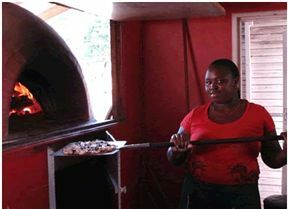 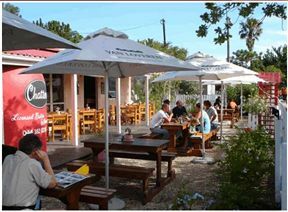 Easily located within the scenic Garden Route and famously known by locals as the place to enjoy made to order, thin crispy pizzas straight from the traditional wood-fired oven with wheat free bases available. 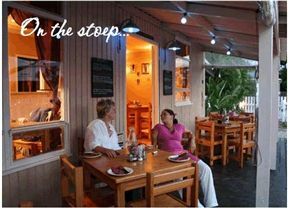 Dine on outdoor terrace or within the large garden on balmy summer days choosing from an array of delicious pastas, potatoe bakes, salads and voluptuously filled pita breads. Leave enough space for decadent deserts and smouldering coffees for a pleasant, well-rounded day out. Chatters Bistro is 0.3km from the centre of Knysna , the nearest airport 73.9km (George Airport).